recommended for applications that benefits from low network latency, high network throughput, or both. and then launch a new instance from the AMI into a placement group. enables applications to participate in a low-latency, 10 Gbps network. is a group of instances spread across partitions. 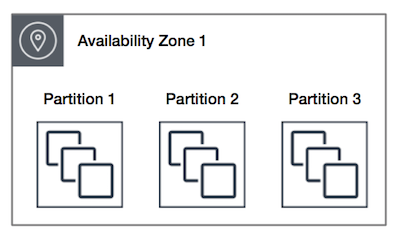 Partitions are logical groupings of instances, where contained instances do not share the same underlying hardware across different partitions. 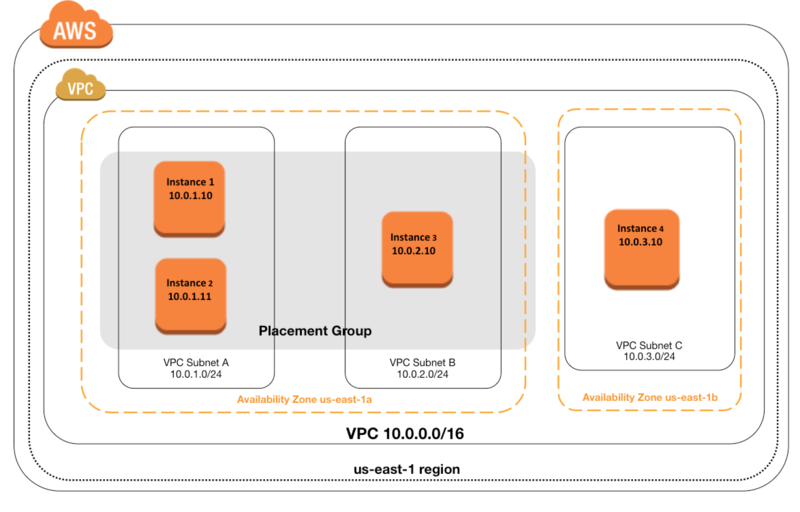 can span multiple Availability Zones in the same Region. recommended for applications that have a small number of critical instances that should be kept separate from each other. reduces the risk of simultaneous failures that might occur when instances share the same underlying hardware. provide access to distinct hardware, and are therefore suitable for mixing instance types or launching instances over time. can span multiple AZs, and can have a maximum of seven running instances per AZ per group. can’t span multiple Availability Zones. maximum network throughput speed of traffic between two instances in a cluster placement group is limited by the slower of the two instances, so choose the instance type properly. can use up to 10 Gbps for single-flow traffic. Traffic to and from S3 buckets within the same region over the public IP address space or through a VPC endpoint can use all available instance aggregate bandwidth. Network traffic to the internet and over an AWS Direct Connect connection to on-premises resources is limited to 5 Gbps. 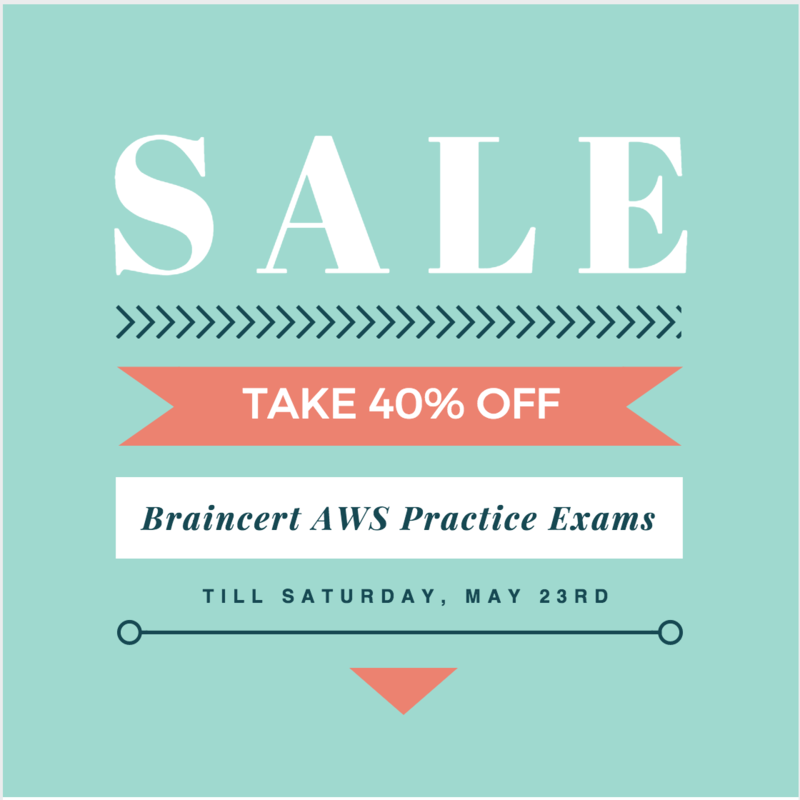 are currently only available through the API or AWS CLI. 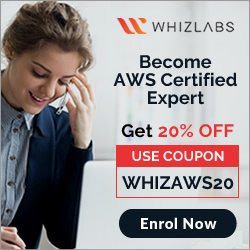 supports a maximum of seven running instances per Availability Zone for e.g., in a region that has three AZs, then a total of 21 running instances in the group (seven per zone). are not supported for Dedicated Instances or Dedicated Hosts. In order to optimize performance for a compute cluster that requires low inter-node latency, which feature in the following list should you use? Enable biplex networking on your servers, so packets are non-blocking in both directions and there’s no switching overhead. 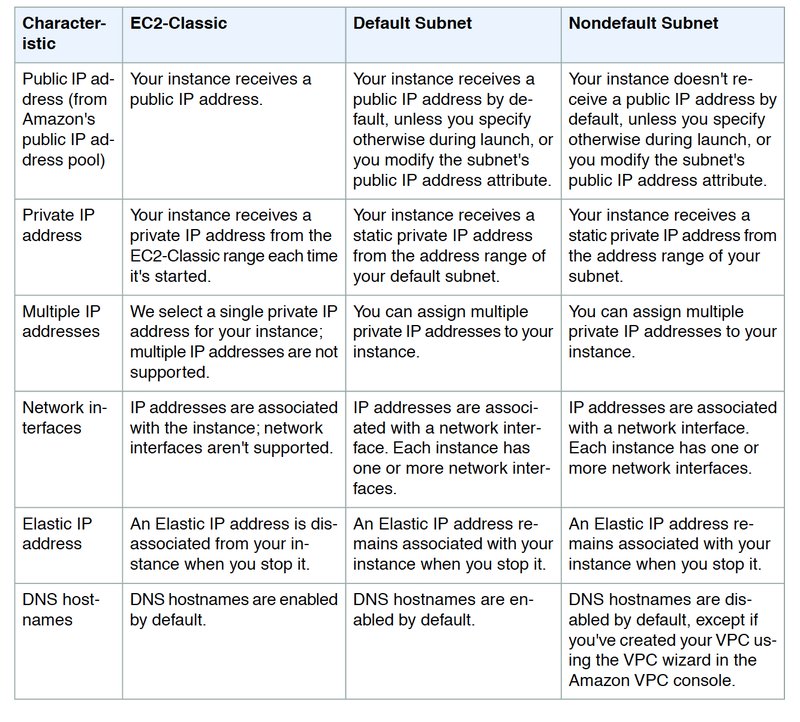 Ensure the instances are in different VPCs so you don’t saturate the Internet Gateway on any one VPC. You need the absolute highest possible network performance for a cluster computing application. You already selected homogeneous instance types supporting 10 gigabit enhanced networking, made sure that your workload was network bound, and put the instances in a placement group. What is the last optimization you can make? Segregate the instances into different peered VPCs while keeping them all in a placement group, so each one has its own Internet Gateway. Turn off SYN/ACK on your TCP stack or begin using UDP for higher throughput.